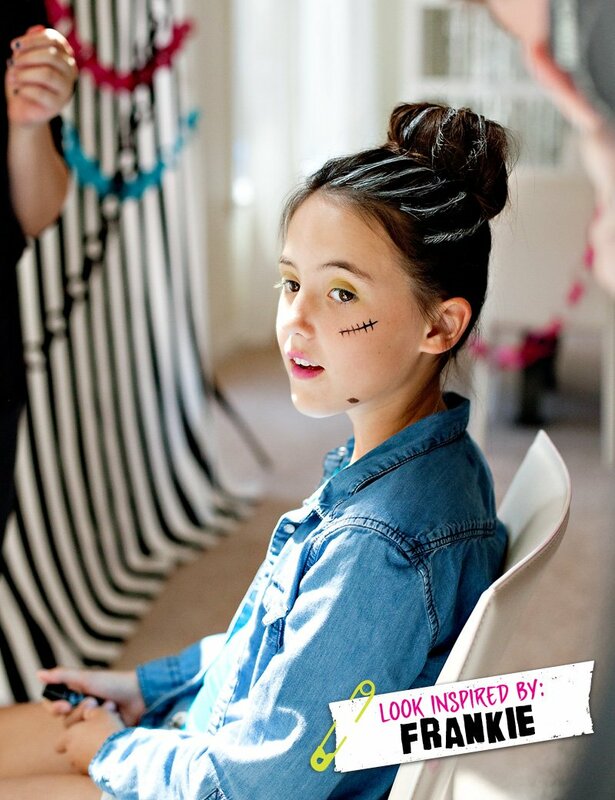 Home/Posts/In the Spotlight, Parties for Girls, Styled by Jenn/Monster High Party Ideas – Part 1: “Ghoul Time” Photo Booth & Activities! 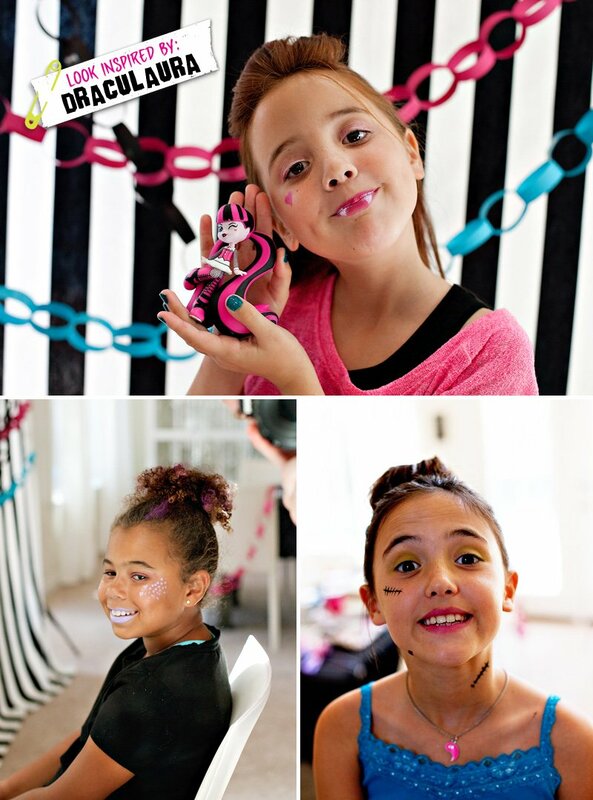 Monster High Party Ideas – Part 1: “Ghoul Time” Photo Booth & Activities! 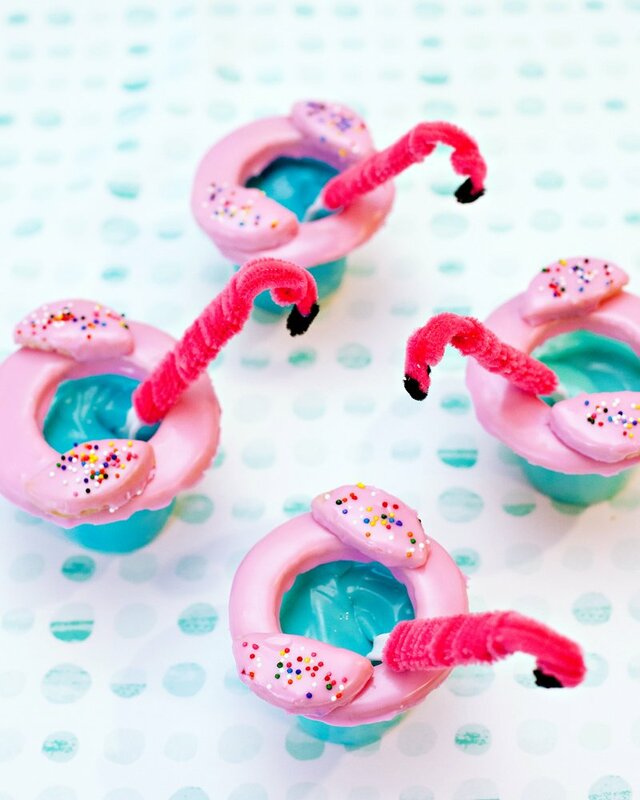 For the next few days, I’ll be sharing LOTS of Monster High Party Inspiration with you, and things are about to get freakishly FUN around here! This “Freaky. Fab. 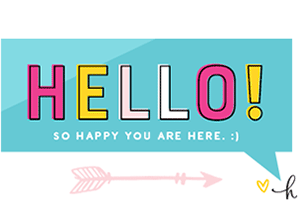 Fun.” theme, which I designed for Mattel® as part of the #TRUBestBirthday campaign, has been so much fun to work on with all its bright colors and funky accessories… what’s not to love about celebrating with your Best Ghoul Friends, right? 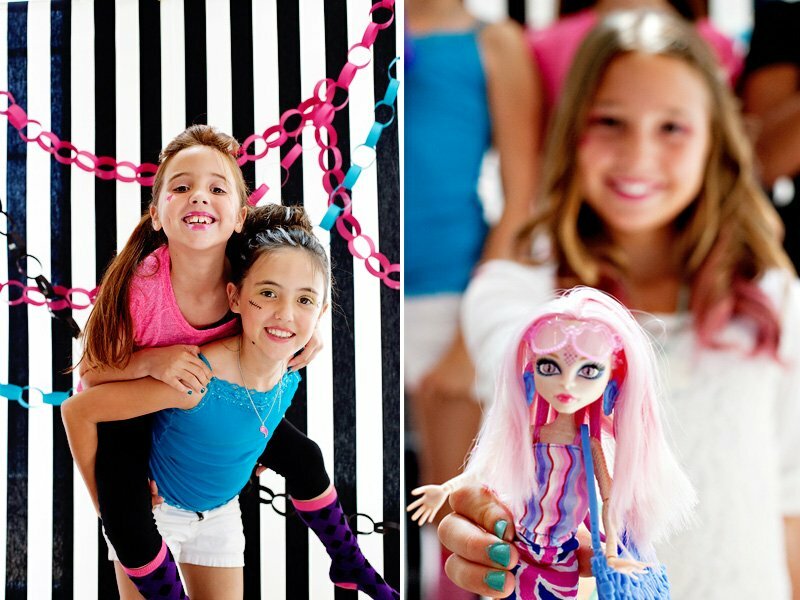 ;) And speaking of bright and funky things… how cute is the Monster High Marisol Coxi Doll pictured above! Right now my house is covered in fabric scraps, wax lips (adorned with fangs, of course!) and hot pink and blue “Detention Chains”… aka those DIY paper chains we all used to make as kids. 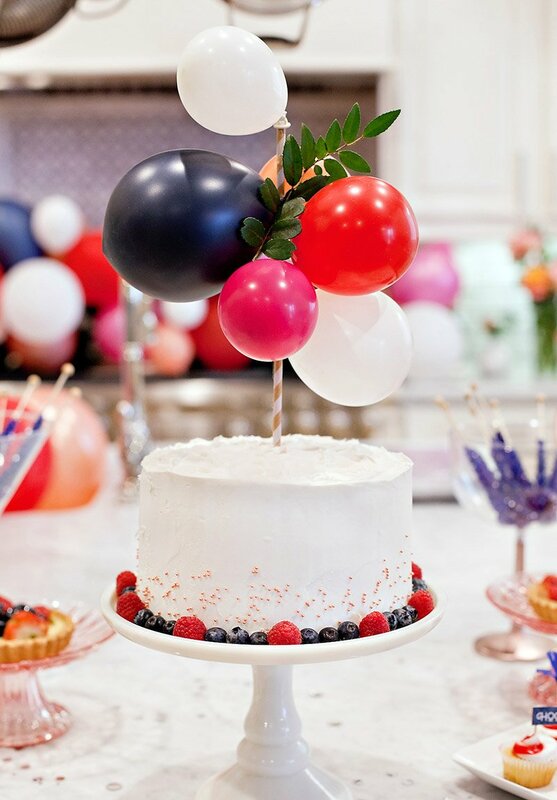 Before we move onto the Monster High themed desserts and party decor inspiration though, I’m excited to kick things off today with some “Ghoul Time” Activities! More specifically: a Ghoulish Glam Station, DIY Freaky Fab Photo Booth, and Purse Coloring + Nail Art activities. 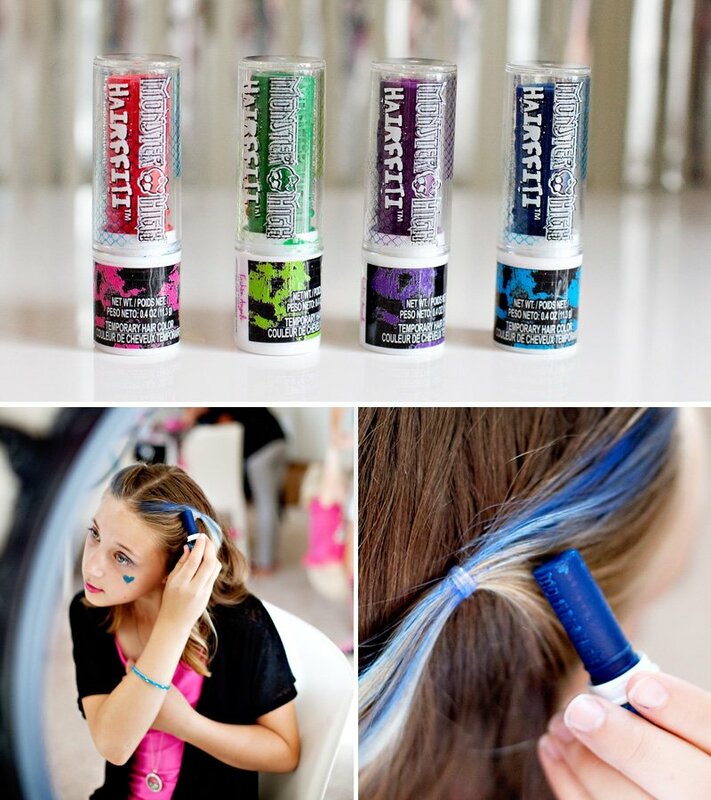 Greet your Monster High guests with a Ghoulishly Glam Beauty Station! Getting all dolled up (pun intended) is always a treat for the girls and makes for super fun after-party pics for parents too. High contrast, bright yellow hair streaks look super cute too! Once the girls are done with the beauty station, it’s time to capture some fun on camera. 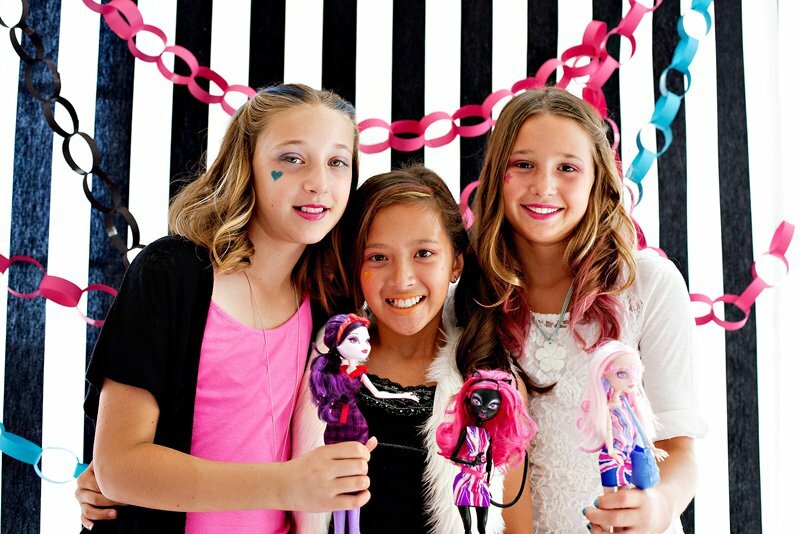 This Monster High inspired photo booth is actually very easy to set up, and it makes a big impact on your party photos! 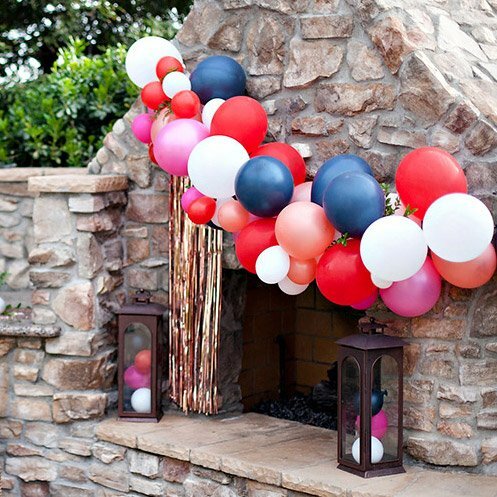 I used an inexpensive backdrop stand in this example (which you can find online as little as $39), but you can also simply attach fabric to your wall using gaffer’s tape, like I did in the recent Barbie party. This Monster High Color N Style Fashion Bag Activity was a big hit too, and I loved that the girls all wanted to color the same bag at once… they kind of turned it into a “group project”! 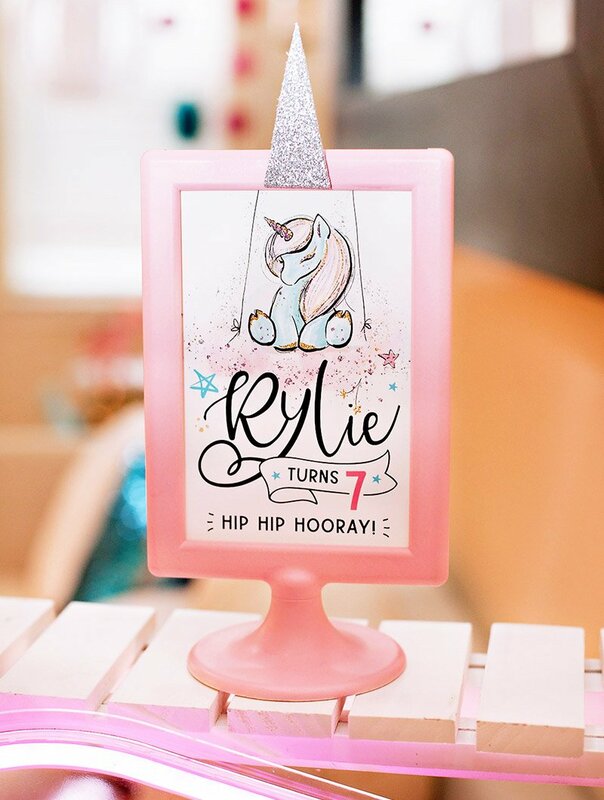 The finished design would make for a great party keepsake for the birthday girl too. 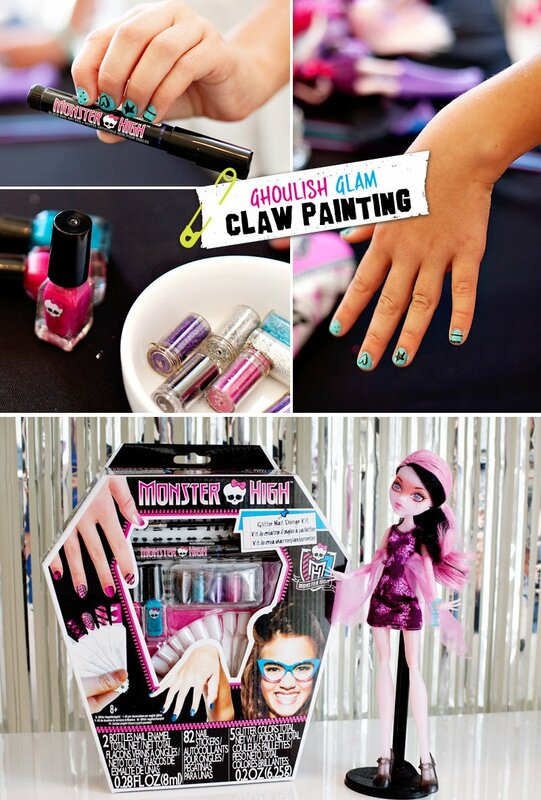 We turned this Monster High Glitter Nail Design Kit into a “Claw Painting” activity as well – and it was seriously met with little screams of glee… which was very fitting, given the party theme! 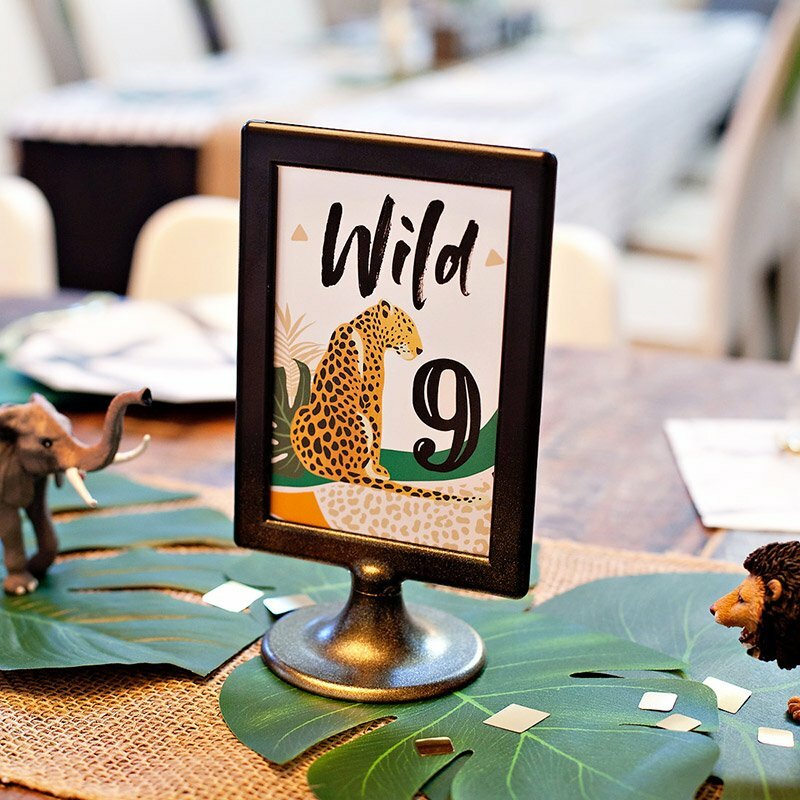 Just set all the pieces from the kit out in the center of the table, and let guests take turns painting their own – and each others’ – nails and decorating them with the black nail art pen and glitter. 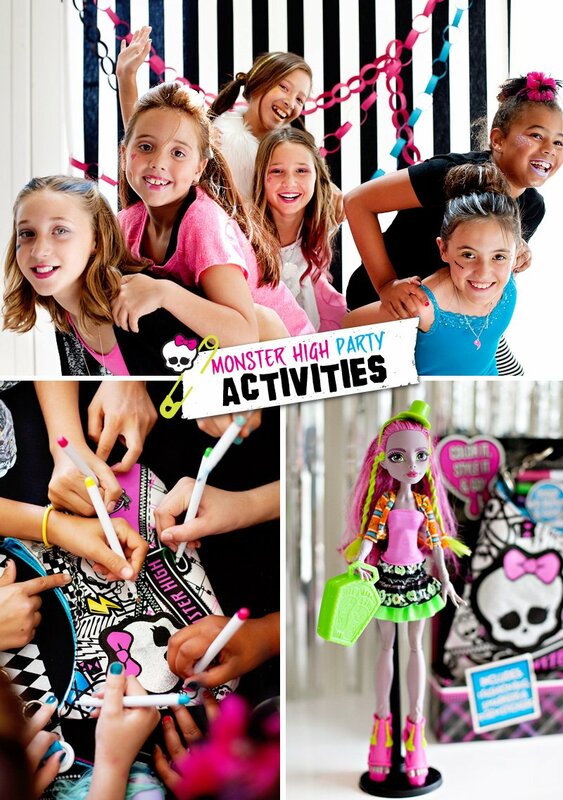 Stay tuned for more Monster High Party ideas later this evening!